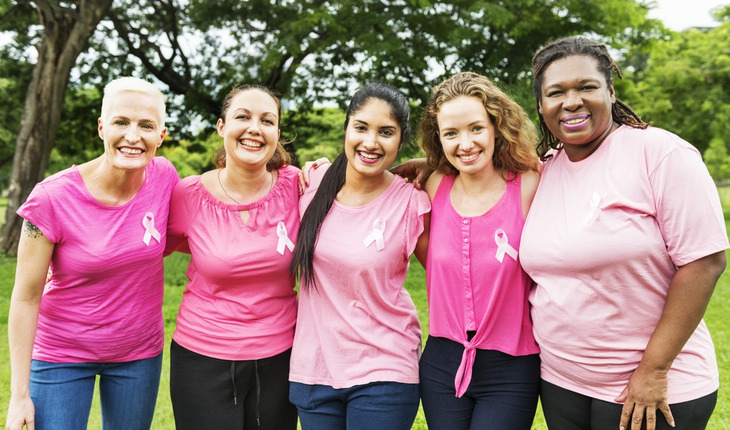 About one in eight U.S. women will develop breast cancer during their lifetime, according to http://www.breastcancer.org/. The website notes that in 2017 an estimated 252,710 more American women will be diagnosed. October’s Breast Cancer Awareness Month magnifies those alarming statistics. The disease stays center-stage when a celebrity like actress Julia Louis-Dreyfus announces she has breast cancer the night after winning an Emmy. As the battle begins for many, the next question before treatment becomes: how to deal with it? Create your support team. That means those who stay in touch, are sincere, and provide emotional and practical support. After getting news that knocked you down, you want only the people around who will keep your spirits up. “Laughter is great medicine and takes away stress,” Palmer says. Having a confidant to whom you can express everything is also very important. Melissa Palmer (http://www.mysecretsofsurvivorship.com/), author of My Secrets of Survivorship and the upcoming book, Survivorship: Breast Cancer at 40, is battling a rare genetic disorder, Pompe disease. A mother of five, she has an M.A. in Professional Counseling, created The Survivorship Foundation, is active in the American Cancer Society charity “Relay for Life” and co-founded a support group, Cancer Soul Survivors.